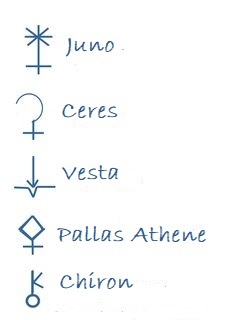 The four major asteroids Juno, Ceres, Pallas Athena, and Vesta and Chiron. This Asteroid Report tells you exactly what the asteroids mean to you and how they influence your chart and your personal life. It may not be earth shaking, but that of course depends on where they hit your chart. It’s important to know how the planets function in the natal birth chart now you can know how these Asteroids function in your Natal Birth Chart. Chiron the wounded healer, brings experiences that are painful so you can relate to others. Juno is the asteroid of soul mates and covenant relationships. Ceres tells you how you give or receive nurturing, and take care of others. Pallas Athena the wisdom asteroid who relates well to and sees patterns and can relate this to previous experiences or new experiences. 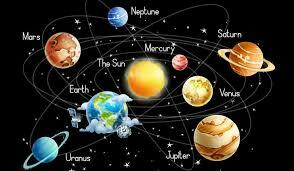 Vesta rules where you can focus, be extra determined or become obsessed and to a great or lesser degree.